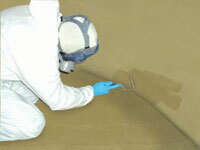 Polymer Services Inc offers all types of fiberglass repair services. With years of fiberglass repair experience and a reputation for quality and reliability, we serve customers in Wisconsin and the upper Midwest. No fiberglass repair job is too small or too large. We serve Wisconsin and the Midwest.